[O]n the second floor of a massive brick mill overlooking Lewiston’s congested Lisbon Street, Kevin Shorey straddles a wooden bench and slides a pair of beaded and fur-trimmed moccasins across a table. 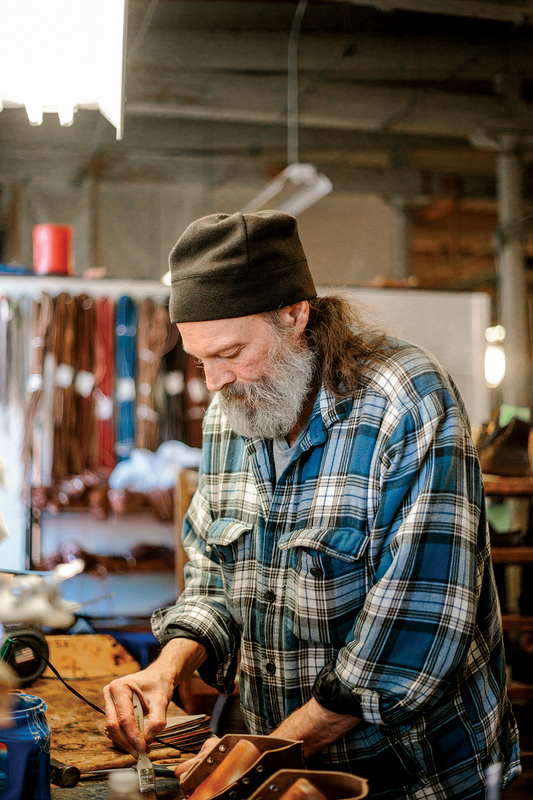 “My grandmother made these for my dad,” says Shorey, a fourth-generation Maine shoemaker and, with wife Kirsten, the co-owner of Quoddy Footwear, the iconic brand that they resuscitated 18 years ago. 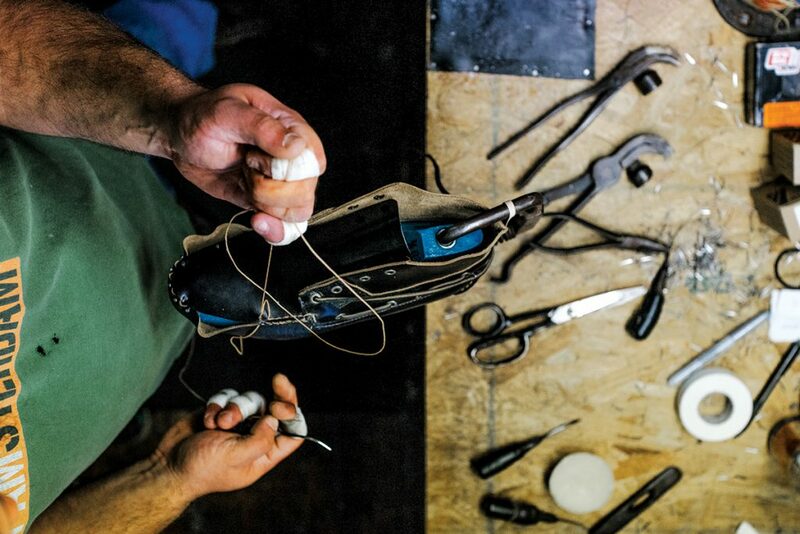 The Shoreys practice their trade much the way Kevin’s great-grandfather did when he made shoes at the turn of the 20th century — by hand-cutting pieces of leather that are then stitched together around a foot-shaped last. 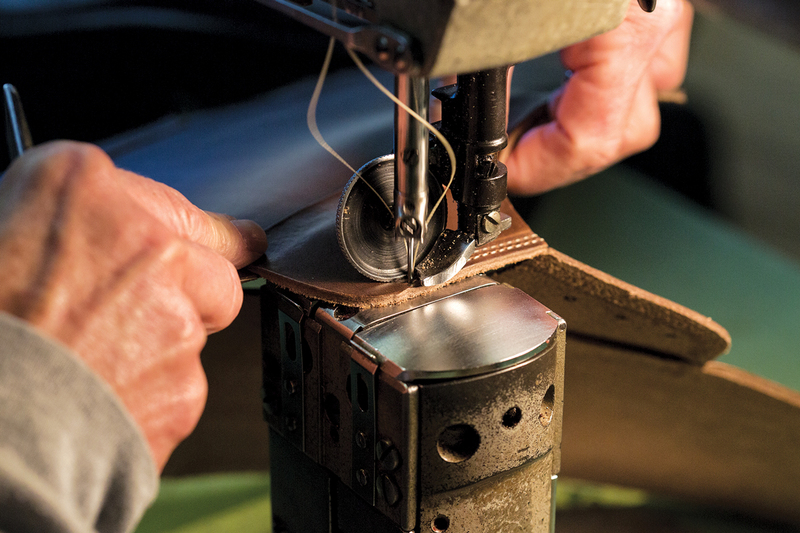 In an era when most shoes are mass-produced in Asia, such individualization is rare — so rare that customers occasionally drop by to see how it’s done. Some of those curious visitors happen to be famous, like the members of the Los Angeles folk-rock band Dawes, who toured the factory, took a turn at stitching, and even custom-designed their own shoes.  (“I’m so excited,” says keyboardist and multiple Quoddy shoe owner Tay Strathairn in a video of the band’s visit on the Quoddy website.) Other well-known Quoddy wearers include New England Patriots quarterback Tom Brady and his fashion model wife, Gisele Bündchen. Quoddys, which occupied a lucrative niche in the footwear industry for more than a quarter-century before falling into a precipitous decline, are once again hip. 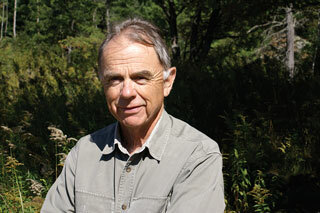 Kevin Shorey’s family history intersects with that of Quoddy Moccasins in the small Passamaquoddy Bay town of Perry during the 1950s and 1960s. 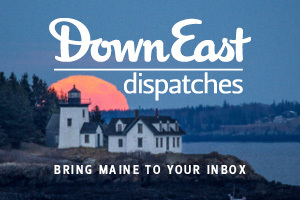 There, Kevin’s grandfather sold Quoddy Moccasins and Native American crafts at the Quoddy Wigwam Gift Shop, a Route 1 landmark with bright yellow siding and a tepee next to a pair of mannequins in a canoe out front. 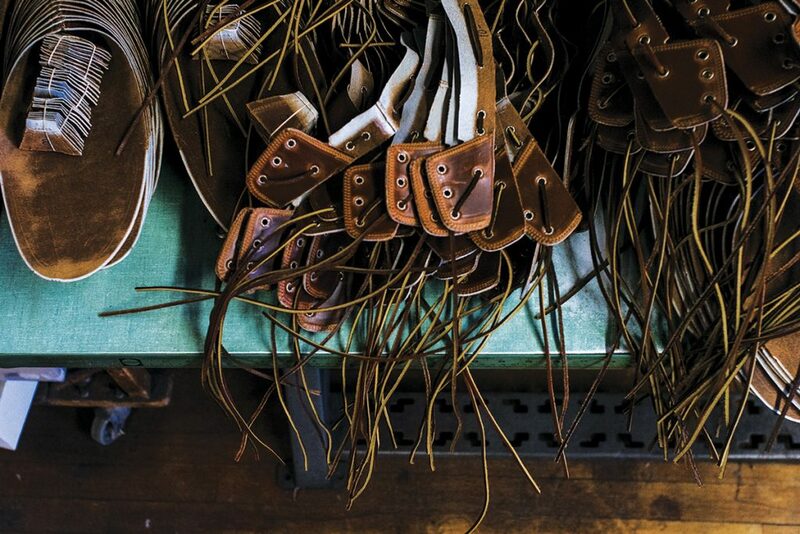 At the time, Quoddy Moccasins, which was founded in Portland in 1947 by Jack and Anne Spiegel, was a leading national brand sold in more than 1,500 stores around the country. But the company ran into financial problems in the 1980s. 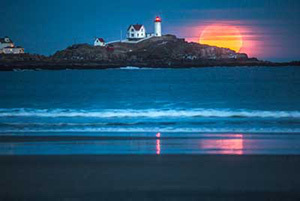 By 1995, when Kevin, a salesman for the Chicago Tribune, returned with Kirsten to his native Maine to purchase his grandfather’s shop in Perry, Quoddy Moccasins was defunct. 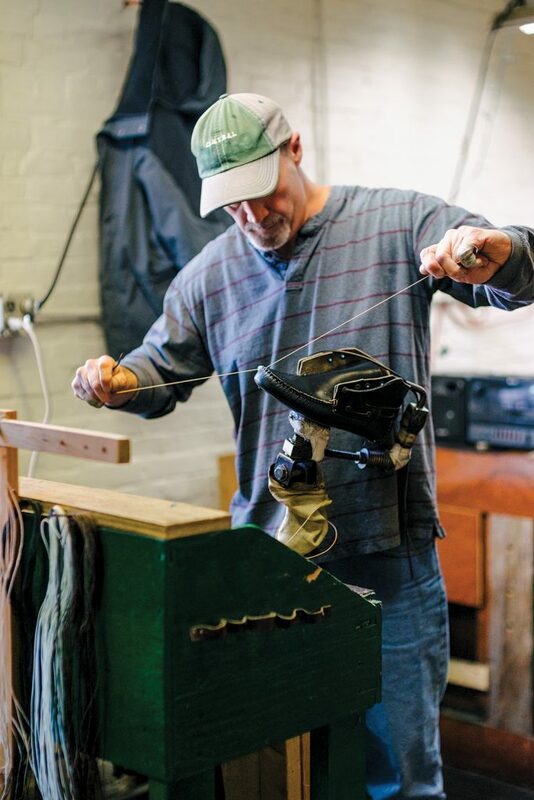 The Shoreys revived the brand three years later as Quoddy Footwear LLC, buying the shoemaking equipment of a Kenduskeag company and recruiting its retired owner to teach them in a workshop they’d set up in their barn. 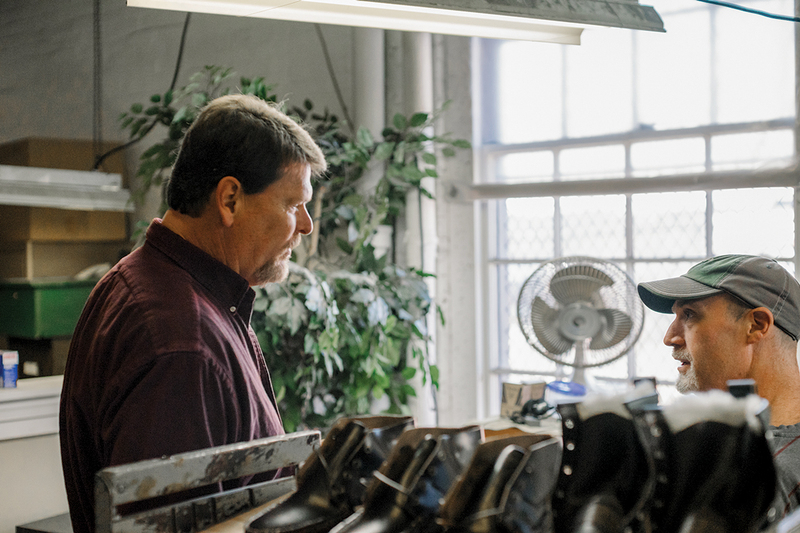 Kevin Shorey (below, standing at left) and his wife, Kirsten, have brought shoemaking back to Lewiston with Quoddy Footwear, which they moved from a barn in Perry to an old mill on the Androscoggin six years ago. The 69-year-old brand is benefitting from its heritage mystique — as well as the company’s commitment to handmade quality and personal attention. Rather than compete on price, Quoddy competes on quality, Kevin explains during a tour of the mill. Workers, their fingers taped against nail and needle sticks, stand at rough wooden benches in a room with a soaring ceiling and tall arched windows. Mounds of discarded leather rise against one wall. A second room is filled with antique cast-iron sewing machines, another with industrial rolls of leather. “I followed every shoe shop in Auburn and Lewiston,” says Helen Williams, a lean woman with strong hands who bends over a sewing machine to stitch a brown leather stay before sending the shoe to be shod. Williams left school to make shoes at 15, and like many of the company’s workers (who each have an average of two decades of shoemaking experience), she’s glad her skills are needed again. Her sewing machine looks identical to those in photos of mill workers from a century ago because that’s how old the equipment is. The rolling wooden racks on which the shoes are stacked are the same ones pushed by factory workers in the 1940s. Only the styles have changed. 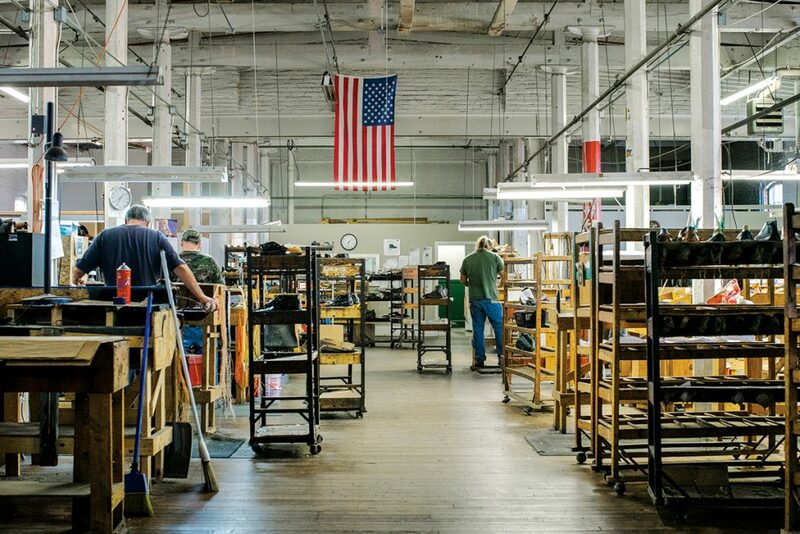 Quoddy’s customer service operations remain in Perry, where workers who once made shoes now answer phones and take orders from customers in more than 80 countries. With prices starting at $99 for a pair of soft, sheepskin baby booties and $200 for a LoBoy moccasin, such workmanship comes with a price, but the company also re-soles and repairs for longer wear. 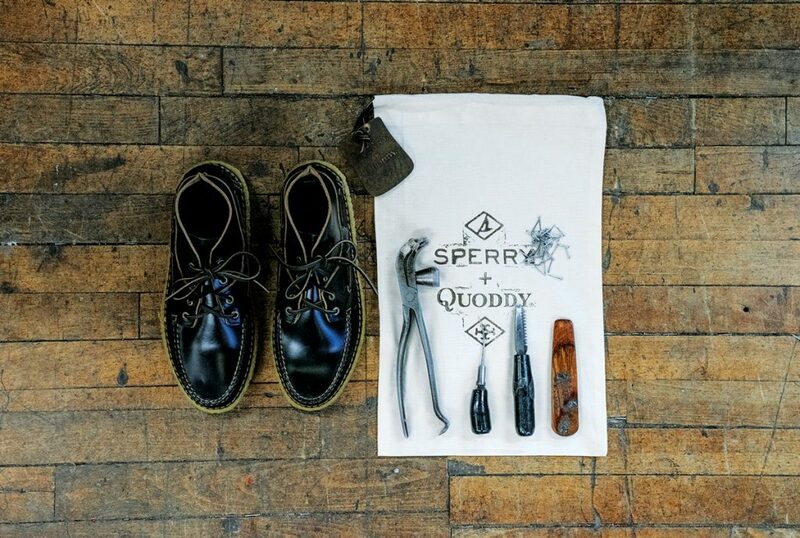 Lacking a marketing budget, Quoddy sometimes partners with other companies, like shoemaker Ugg, with which it made shearling-lined mocs, and whiskey distiller Basil Hayden, with which it produced a limited-edition gift set that included a pair of shoes, four leather-wrapped drinking glasses, and a matching case. 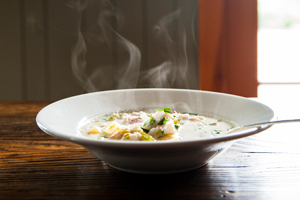 It’s helped to be featured in high-profile magazines like Paris Vogue and luxury goods websites like the Robb Report.